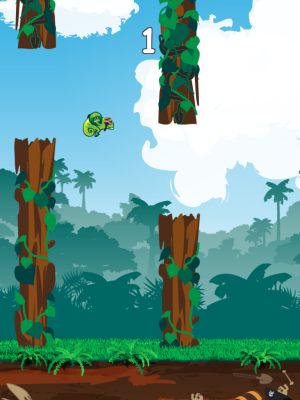 Flap your way to success! Simple to play. Difficult to master. The rules are simple. 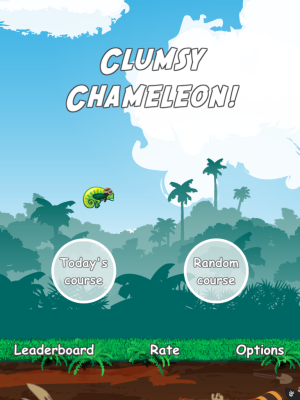 Gather as many points as possible by flying your Clumsy Chameleon through the course without hitting any obstacles. Play the Daily Course and compete with your friends! It’s guaranteed to generate the exact same course for you and your friends, and it changes every day. If you get bored of trying the same course, you also have a choice to play the Random Course which is different every time you play. Give it a try, but be warned. All scores are automatically kept up-to-date using Game Center. 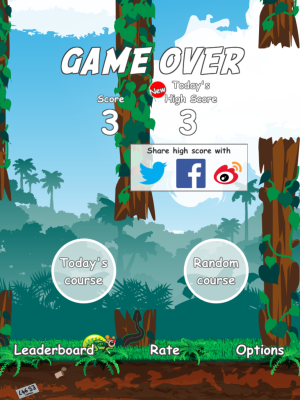 You can easily check your friends’ progress and challenge them to beat your own scores. You can listen to your favorite music while playing. Your music will continue to play in the background.